As a blogger, I don’t go on about the fact I’m from Scotland very much. I probably should do more – I live in a beautiful country with outstanding food and drink right on my doorstep. 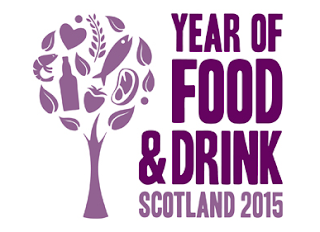 As 2015 is Scotland’s Year of Food and Drink, I thought I would share some of my past recipes which are Scottish, inspired by Scottish food and drink or contain some of our lovely produce. Firstly my Spice ‘n’ Cheesy Scottish Oatcakes made with added spice to give them a bit of a kick. A Scottish/Mexican fusion if you will. 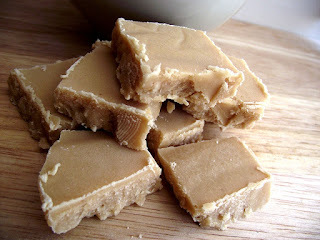 Next my Scottish Tablet. Tablet is a treat difficult to describe. It sits alongside fudge and toffee on the confectionery shelf, but is neither chewy like toffee nor soft like fudge. It’s sweet, crumbly and utterly addictive. I could never make it, as it is very tricky to get right, but when I found a recipe that worked, I had to share it! I come from Arbroath on the east coast of Scotland and the small fishing town is famous for it’s specially smoked haddock, called Arbroath Smokies. I used Smokies in a savoury cupcake, which went down a storm! Scotch Pancakes – no really sure what makes them particularly Scottish, but they are ruddy good. 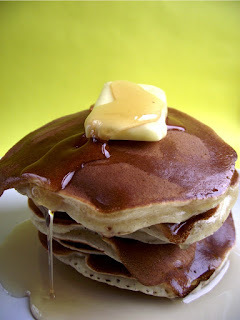 Thicker and sweeter than crepe type pancakes, these are the way I would like to start everyday! Top Hats – they may not exactly be 100% Scottish, but I've adopted then as such. I grew up with them at kids birthday parties and nowhere else in the UK seemed to have something similar, or called them Top Hats. Very easy to make with chocolate, a smartie and a marshmallow, these take me right back to my childhood! Cranachan is a very popular Scottish dessert, made from toasted oats, Scottish rasps, cream, honey and whiskey. On a bit of a health kick one January I decided to make a healthier version using fat free Greek yoghurt and the result was just as lovely. Iron Brew, or Irn Bru as it’s called on the cans these days, is Scotland’s number one soft drink, even outselling Coca-Cola. I decided to use the flavour in these French macarons – not to be confused with macaroons! Dundee marmalade is very famous, made by world-renowned jam manufacturers Mackays. Mackays factory is based in my hometown of Arbroath and I was lucky enough to get a tour of the factory. I used some Dundee marmalade in these gooey, sticky, sweet buns. Butteries are a Scottish staple, called different names, depending on what part of Scotland you are from. They are a flat bread roll type of affair, crossed with a croissant. Laminated with layers of butter and lard, they may not be the healthiest of snack, but are very tasty! Lastly, back to Iron Brew and Tablet – I decided to pair the two up in a cupcake recipe for the ultimate Scottish treat. With iron brew flavoured cakes and a sweet centre of tablet these were a naughty but nice taste fusion. There we have it. A Cakeyboi run down of some Scottish inspired goodies. What Scottish treats are you making in this year of Scotland’s food and drink? Great round up - I'm really enjoying the year of food and drink (although every year should be the year of food and drink...). 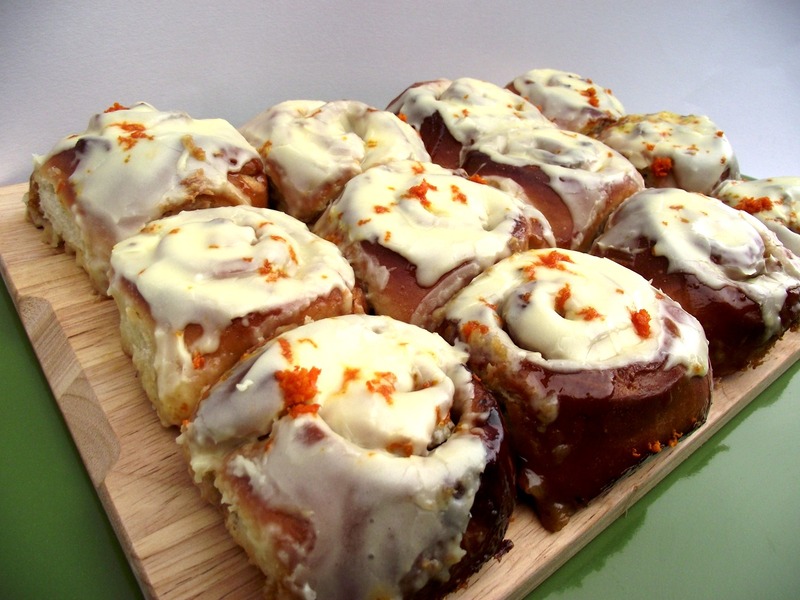 Really love the look of the marmalade buns. And top hats, who doesn't like a top hat?